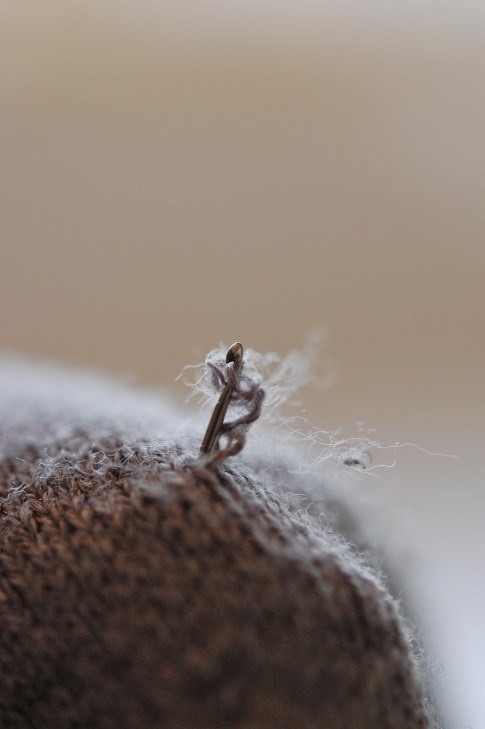 You just bought a new loose-knit sweater, slipped it on, and your ring, earring, smartwatch, or even your fingernail snagged a piece of thread yanking an entire loop loose in the fabric. It's happened to me more times than I can remember, and if you cut that eyesore away you're asking for trouble. However, there is a quick way to fix it while maintaining the longevity of your sweater—without giving money to your dry cleaner. Begin by assessing the size of your sweater's damage; is the snagged string creating a huge hole, or is it pretty tiny in nature? Once you've figured out which it is, you'll need an appropriately size crochet hook. Karen Bertleson, on her blog The Art of Doing Stuff, recommends a small crochet hook for finely knit sweaters and cardigans, and a larger one for looser ones. Once you have the right crochet hook, from the underside of the sweater, stick it through the fabric as close to the pull as you can get it. Grab the loose string, pull it down and through the underside of the fabric, but make sure to stay in your original hole and be careful not to catch anything but the thread/yarn your fixing. Your pulled string should now be hanging from the underside of your sweater where it can't be seen. If you want, you can pull it up and down a few times, looping it around other strands; however, one pull is enough to hide the hole you've created by accident, and ensures you don't accidentally create anymore damage. 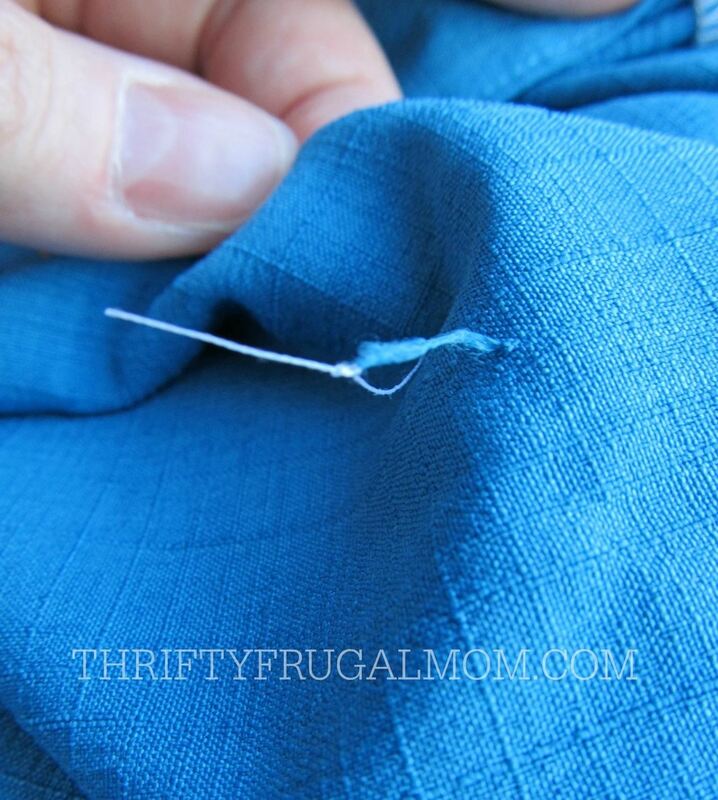 If your fabric is super tight together, it's probably best to try the needle-and-thread trick, like Thrifty Frugal Mom uses. Pull a threaded needle through the snag's loop, knot the thread to the snag, then push the needle through the base of the snag's hole. Then, snip the thread (not the pulled fabric) to keep a knot in the back and you're done. There's also a product called the Snag Wizard, which can get the job done, but I think it's unnecessary to buy a single-purpose item like this. 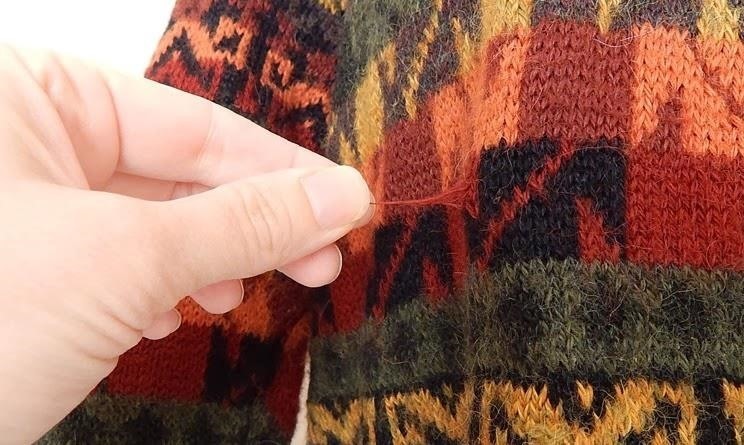 As long as you can grab the loose strand and yank it underneath the sweater's obvious external knit, you'll be able to hide it well. Just remember not to catch another knit loop on something sharp, dangling, or edgy; otherwise, you'll need to keep "repairing" loops that just don't hold the sweater together. 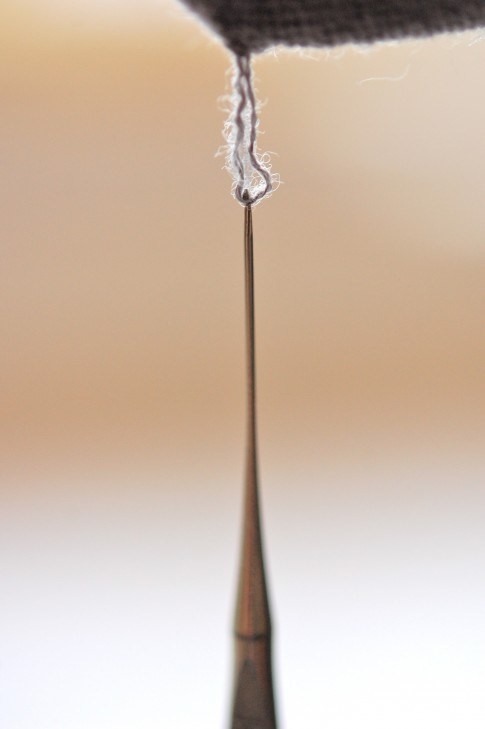 Alternatively, for loose-knit sweaters/jumpers, you could use an awl or other thin, sharp-pointed object (even a needle will do) and try to weave the pulled-out thread back into place using Carley Jacobson's video below (full instructions with pictures available here). YouTube user Camille Co demonstrates the same process using a safety pin (again, a needle would also work). Did these tricks work for your sweater? If not, let us know how you fixed your snagged sweater in the comments below!